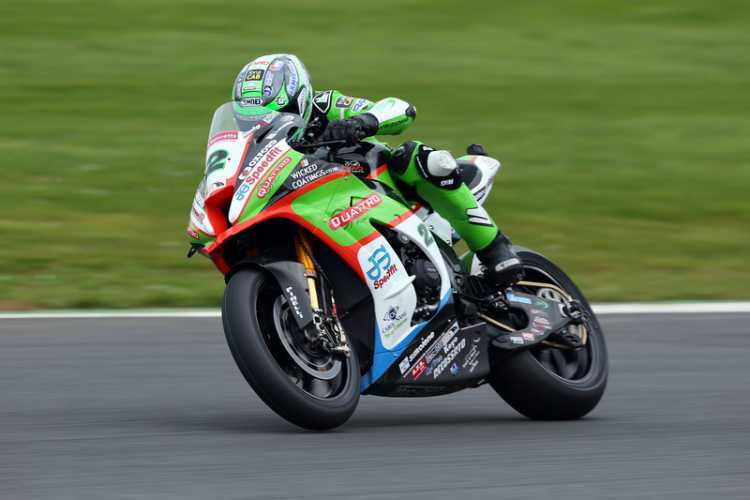 Glenn Irwin is preparing to make his debut for Bournemouth Kawasaki in the Bennetts British Superbike Championship 2019 season opener this weekend (19th to 21st April). Glenn signed with the team after finishing third in the championship last year, replacing 2018 champion Leon Haslam who has returned full time to the World Superbike Championship. The 29-year-old, from Carrickfergus in Northern Ireland, will be hoping for a repeat of his performance at Silverstone in 2017 when he claimed his maiden BSB victory. In 2018 the three-time North West 200 Superbike race winner achieved another first at the former wartime airfield circuit, securing a place in the Showdown after finishing in the top four in all three races. “Testing threw up so many different results; the top three riders were constantly changing so no-one really knows who is going to come out on top yet. Jason O’Halloran finished the final test at the top of the timesheets so he’s the one to watch currently. “The competition looked strong in testing although I think some people were holding back so round 1 is going to be interesting! I am confident in the package that we have and that we can fight for the podium positions. Teammate Ben Currie will also make his debut for Quattro Plant JG Speedfit Kawasaki at the weekend. It will also be the first time the 23-year-old has competed in the premier class after finishing a close second in the Supersport Championship last season. The Australian won seven races on the outgoing Kawasaki ZX-6R but narrowly missed out on the title losing to Jack Kennedy. After a successful final test last week Ben is aiming to follow in the footsteps of Troy Bayliss and Josh Brookes and be the next Australian BSB Champion. “I had an incredible season last year, narrowly missing out on a championship win in the Supersport class, so I’m hoping to build on this going into the BSB,” he explained. “We had a good final test last week and the team are all working together well. In the first round I’d love to finish in the top ten in both races. Having said that I’m well aware that there will be 30-odd guys on the track who are all going to be tough to beat so I intend to work hard and take nothing for granted! “The winter seemed to drag prior to the New Year but since then the momentum has really built up for the whole team with the Spanish testing and the one-day test at Silverstone last week. “The team have worked so hard with the new 2019 RR engine and we turned a corner for all the riders at the recent test especially on electronics. Both Glenn and Ben commentated on the new mapping and now it’s time to fine tune the bike set-up and move up to the top of the timesheets. “James Hillier joins the squad for round 1 on his Quattro Plant JG Speedfit Superbike to prepare for the international road season so it’s going to be a busy and exciting weekend for the whole team.